Hey, Texplainer: Will previous home damage affect filing claims post-Harvey? Previous home damage doesn't impact someone's ability to file a claim post-Harvey. And just to be safe, both state and federal officials encourage anyone who sustained home damages during Hurricane Harvey to apply for aid. Today’s Texplainer is inspired by a question from Texas Tribune reader Jacqueline McCord. Hey, Texplainer: If you had previous home damage from heavy rains, are you still able to file an insurance claim post-Harvey? Previous home damage doesn’t affect someone’s ability to file an insurance claim post-Hurricane Harvey. After filing one, however, a claims adjuster will assess a home’s previous damage versus damage caused by the storm. 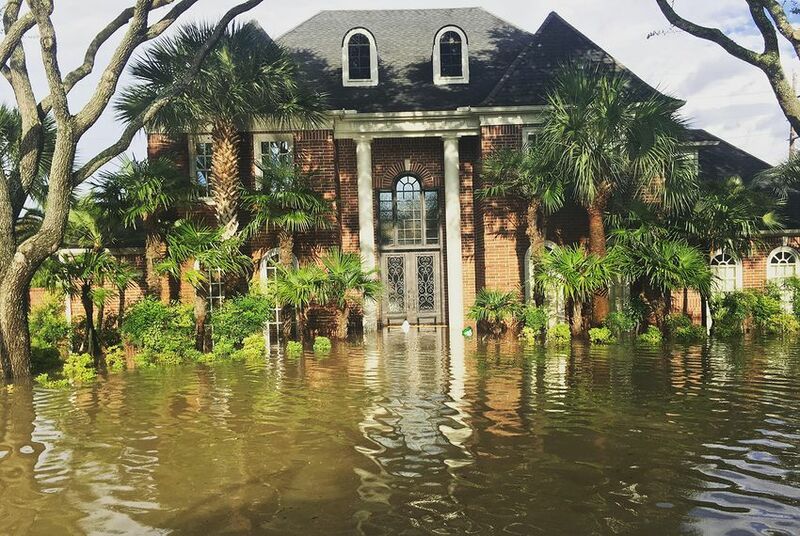 Individual insurance policies determine the amount and type of aid policyholders are eligible for, which can be tricky to navigate for people in Harvey's path who may have separate policies for flooding and windstorms in addition to property insurance. After a claim is filed, adjustors will likely ask several questions about how previous home damage occurred before settling on a claim amount. The first thing an adjuster will want to know when assessing a home is how much of the damage is "deferred maintenance," meaning postponed maintenance on personal property, said Federal Emergency Management Agency spokeswoman Deanna Frazier. After inspecting how much damage happened pre-Harvey, an adjuster will decide how much money a claimant is eligible for. However, previous home damage shouldn’t stop homeowners whose houses were ravaged by the storm from filing insurance claims or applying for federal assistance. The only way a potential issue may arise is if a homeowner filed a previous claim, received payment and then didn’t get the repairs done. But, Stillwell said, “Whether you filed a claim or didn’t, you can file a new claim on any new damage you received after the storm. Stephanie Goodman, the Texas Department of Insurance’s deputy commissioner for public affairs, said that as with any situation in filing an insurance claim, homeowners should pull together as much information as possible — receipts for repairs, photos, videos and any documentation — to detail the condition of their home both before and after Harvey. Federal aid is also an option for homes needing repairs following the storm. As of Thursday morning, 829,825 households have registered for FEMA assistance and the agency has approved more than $721 million in grant funds, Frazier said. Of the homes that have applied for assistance so far, 294,371 have been approved. The bottom line: Previous home damage doesn’t impact a homeowner’s ability to file a claim post-Harvey. The only way someone may not be eligible for aid is if they they filed a previous claim and received payment but never got their damages fixed. Either way, both state and federal officials encourage anyone who sustained home damage during Harvey to apply for aid. Disclosure: The Insurance Council of Texas has been a financial supporter of The Texas Tribune. A complete list of Tribune donors and sponsors is available here. Hey, Texplainer: How is FEMA distributing money to areas hit by Harvey? Hey, Texplainer: Can Texas lawmakers tap the Rainy Day Fund to help with Harvey relief?